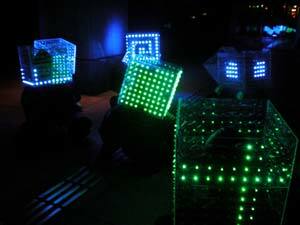 The performer covered which was put on LED of 321 pieces and it went through the performance in the light event of New Year from the Christmas. This object settled down in the cube gate of 1 side 2.4m,and a day except for the performance made it enjoy a citizen, too. 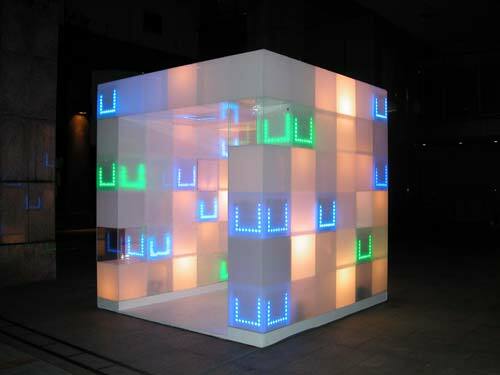 It is the new trial introduces which is a message with illumination to moving and making a communication with the citizen in the town. Support : Komaden incorporated company, Incorporated company Yunbiko and Nichia chemical industry incorporated company.